Singer-songwriter Bouwer Bosch has apologised to black people for apartheid, but Hofmeyr says that means he’ll lose his ‘house and car’. 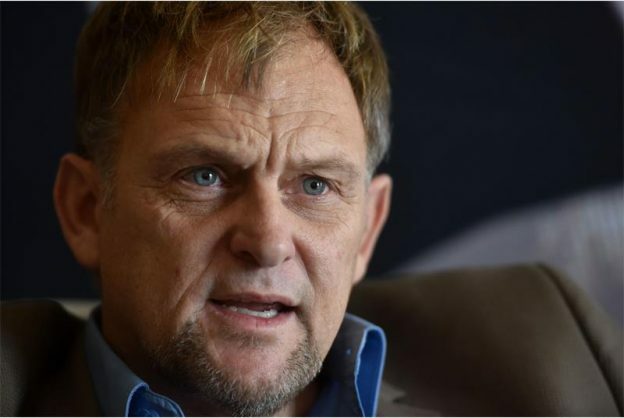 Afrikaner activist and singer Steve Hofmeyr has told fellow Afrikaans musician Bouwer Bosch that he is misguided and has lost sight of reality in apologising for apartheid. Writing in Afrikaans, Hofmeyr told the 33-year-old singer-songwriter that his apology to black people is a dangerous acknowledgment of guilt. Writing on Facebook, Hofmeyr wrote: “Bouwer Bosch feels whites must (again and still) apologise for apartheid and colonialism. Mmm. I like brand-new ideas. But Bouwer, the moment you apologise for ANYTHING, you acknowledge guilt and THEN you will need to summarily hand over your car keys, your house, your income, your language and the future of your children, OR acknowledge that you’re a pitiful hypocrite. One of the photos on Hofmeyr’s Facebook post showed a photograph of victims of the Church Street bombing, which was organised by the ANC and executed by its operatives on May 20, 1983. Hofmeyr said he would be attending the annual commemoration at the bombing site on Saturday at 9.30am to remember the victims. Bosch, who is also a TV presenter, unleashed debate this week when he uploaded the first episode of a series he calls Versoening (Reconciliation). In the video, Bosch apologises for apartheid to a woman he only met the day before. In it, he explains where he comes from, then hands over the conversation to Phindile Dhlamini, who explains her life, how she feels about the apology and South Africa. Have a look at the video below. You can also pick up a copy of The Citizen tomorrow to read a full interview with Bosch about his campaign.